Dieselgate put a downer on anyone who needed an oil-burning Porsche to tow their Porsche to a race track. 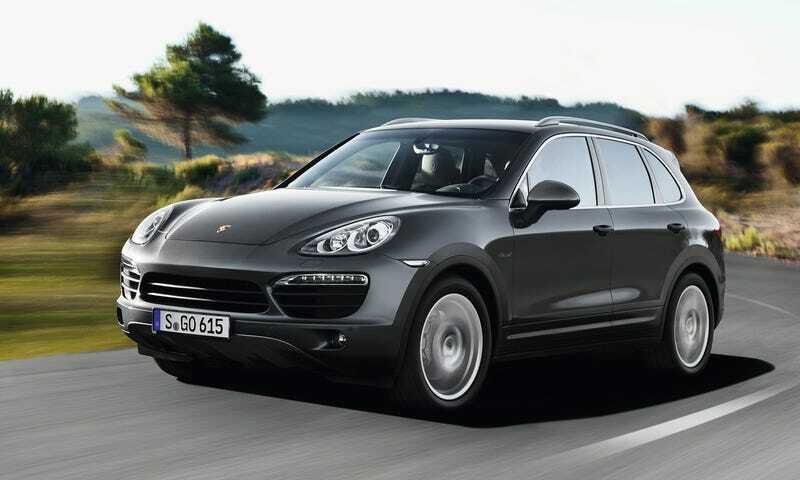 With a fix in the works for the Volkswagen Group’s 3.0-liter TDI V6 motor, Porsche will soon be able to sell you a “new” diesel Cayenne—but only by making them used cars with a hefty discount. Volkswagen reached an agreement with US regulators on how to handle the 3.0-liter TDI fix in order to make it emissions compliant, but the details are still being ironed out in the courts. Once the fix is approved, Porsche plans on making the necessary adjustments to all the diesel models both in customer possession and dealer inventory. At the Los Angeles Auto Show, Porsche Cars North America CEO Klaus Zellmer spoke with AutoNews about the plan to offload the leftover diesel inventory as pre-owned models. As of now, there is no word on how the supposed fix will impact the performance of the diesel models, but a discounted Cayenne TDI is good news for Porsche fans who like the extra torque for hauling their weekend sports car—if you’re willing to live with the now-diminished diesel image, of course. Hopefully, Audi will offer a similar program for its 3.0-liter TDI models, as a heavily discounted low-mileage A7 diesel would be pretty sweet.